Remove the outer constant velocity (CV) joint and boot from the wheel drive shaft. Refer to Front Wheel Drive Shaft Outer Joint and Boot Replacement. Remove any lubricant from the CV joint. Position the cage and the inner race so they are level. Install the outer CV joint assembly in a soft jawed vise. The following procedure will have to be repeated until all the ball bearing are removed from the cage. Using a brass drift (1), gentle tap the cage (2) until the ball bearing can be removed from the cage (2). 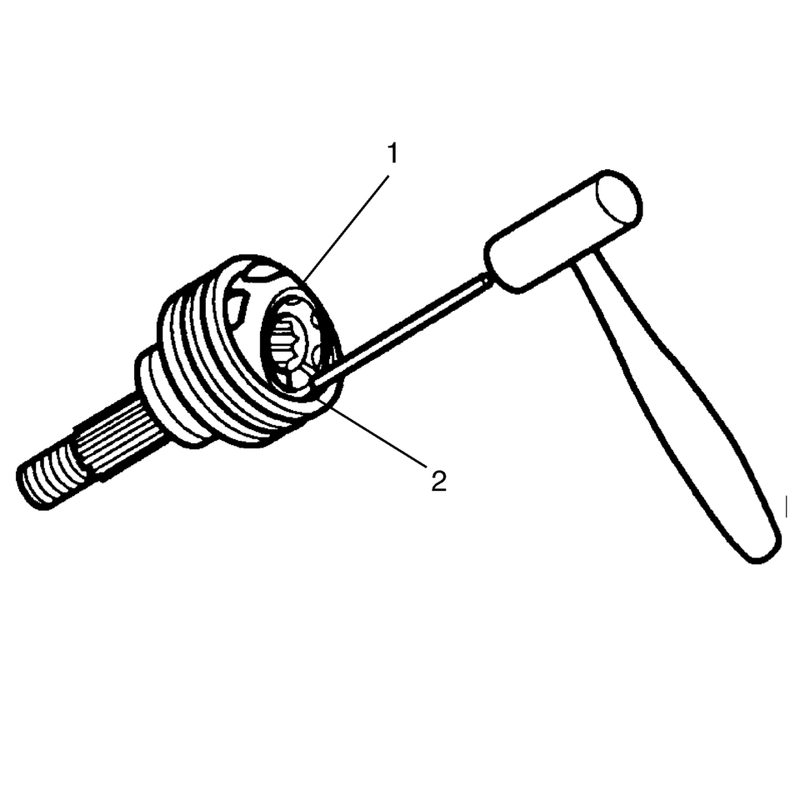 Using a small screwdriver, remove the ball bearings (1) from the CV joint (2). Remove the ball bearings from the CV joint in sequence. Position the cage so that the larger radius corners of the cage windows are facing up. Position the cage (1) at a 90 degrees to the centerline of the outer race (2). Align the cage windows with the lands of the outer race (2). Lift and remove the cage (1) and the inner race from the outer race (2). Position the cage (2) and the inner race (1) so that the larger radius corners of the cage windows are up. 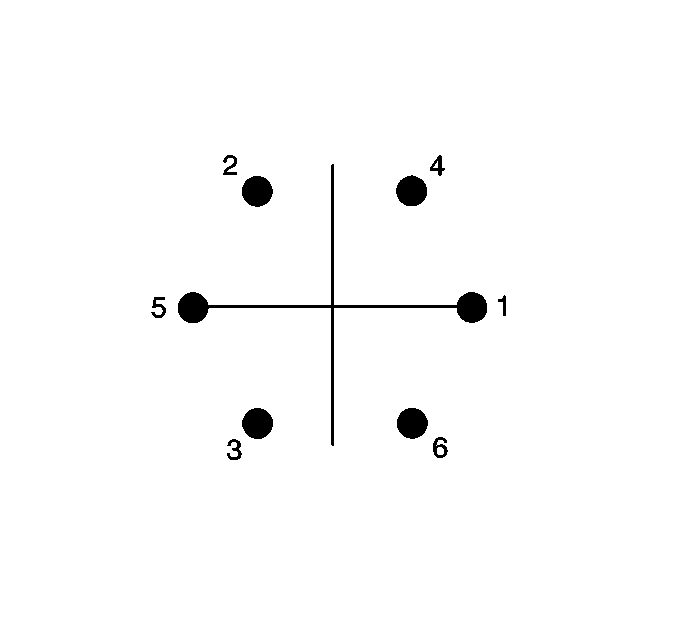 Rotate the inner race (1) 90 degrees to the center line of the cage (2). Align the lands of the inner race (1) with the windows of the cage (2). Move the inner race (1) land into the cage window (2). Rotate the inner race (1) down and remove it from the cage (2). The internal parts of the CV joint are NOT SERVICED separately. The outer CV joint is serviced as an assembly. If any of the above items are found to have excessive wear or are damaged, replace the outer CV joint as an assembly. Position the cage (2) so that the larger radius corners of the cage windows are up. Position the inner race (1) 90 degrees to the centerline of the cage (2). Insert the inner race (1) through the bottom of the cage (2). Rotate the inner race (1) within the cage (2) so that the grooved surface of the inner race (1) is facing up. Align the inner race (1) ball bearing tracks with the cage (2) windows. Wrap a clean shop towel around the CV joint outer race spined shaft. Place the outer race (2) vertically in a bench vise. Position the cage (1) and the inner race at a 90 degrees to the centerline of the outer race (2). With the inner race and the cage (1) assembly in a vertical position, insert the cage and the inner race into the outer race (2). The larger radius corners of the cage windows should be positioned up and the grooved surface of the inner race should be visible. Position the cage (2) and the inner race so that they are level in the vise. Rotate the appropriate component(s), and align the cage windows and the inner race ball bearing (1) tracks with the outer race ball bearing tracks. Position a cage window and the inner race ball bearing track for the ball bearing installation. 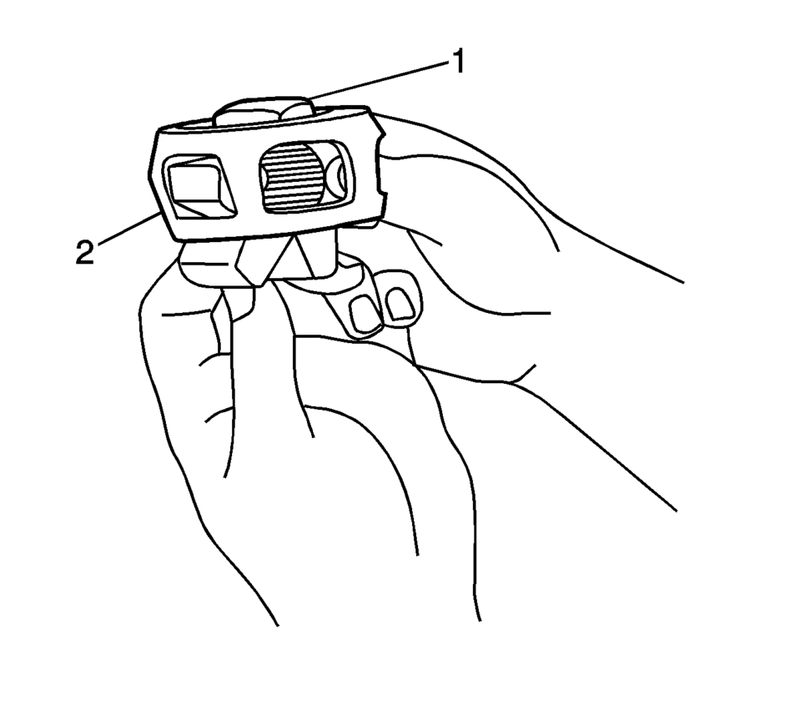 When performing the following procedure, the opposing cage (2) window and the inner ball bearing (1) track will be accessible for the ball bearing installation. Press down on the cage following one of the outer race ball bearing (1) tracks. 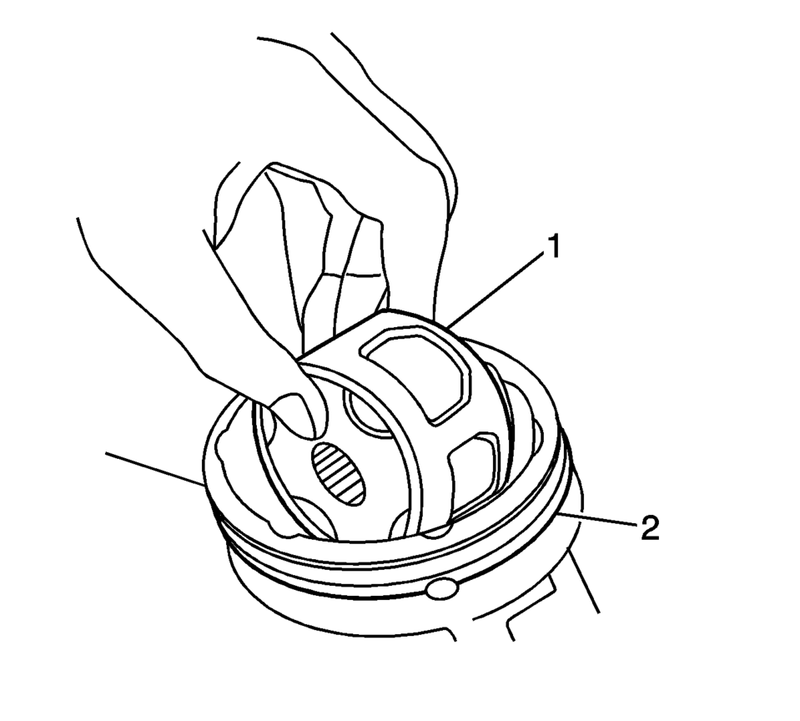 Install the ball bearing through the cage window onto the inner race ball bearing (1) track. The following service procedure will have to be performed after each ball bearing (1) has been installed. After the first ball bearing (1) has been installed, use a brass drift and a hammer and gently tap the cage in order to drive the cage and the inner race down completely in the outer race. After the ball bearing (1) has been installed, there should be NO GAP between the ball bearing and the inner race. Position the cage and the inner race so that they are level. 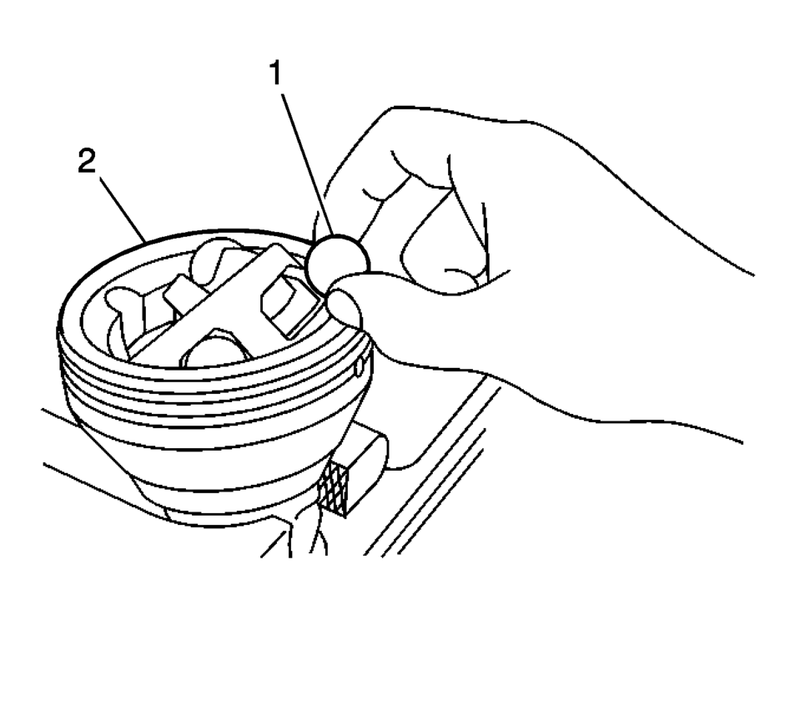 Using a plastic hammer, lightly tap the ball bearing (1) into place. Install the ball bearings in sequence. Repeat steps 18 thru 20 until all the ball bearings are installed. Install the outer CV joint and boot on the wheel drive shaft. Refer to Front Wheel Drive Shaft Outer Joint and Boot Replacement.